Interesting....I too just ran into this "new" problem as I was able to fly a few months ago without a hitch, now I have no numbers on the radio stack, though the Garmin works. Mmmm that's the third... did it happen after a windows update as somebody reported? I have just purchased EZDOK 2 and they offer 3 Simconnects installed with their application (10.0.60905.0, 10.0.61242.0, and 10.0.61259.0). As you may be aware, this program has a CONFIG. Tool for all the various Flight Sim programs and I wondered if EZDOK is changing some value within the Aerosoft program during their configuration. I provide this information because of a comment on an older thread which seemed to outline the same issue relative to Simconnect. I am sorry I don't have the knowledge beyond what I have given you, but you have my email address and I will provide any other information you may need. Hopefully you or someone can come to a solution as I really like this aircraft. As you can see, normally there is no problem with a fully updated W10 und P3Dv3.4. I really hope the issue can be resolved as I fly for a VA that is "on-line only" and I can't enter a Transponder code for any ATC. NOTE: The last logged flight where RADIO NUMBERS were visible was April 16 2017. I was using FSX and EZDOK v1.18. I then tried another flight on May 27 and the issue with the numbers appeared for the first time. I thought the issue was with EZDOK since I kept getting "simconnect" error windows so I went ahead and purchased EZDOK 2. 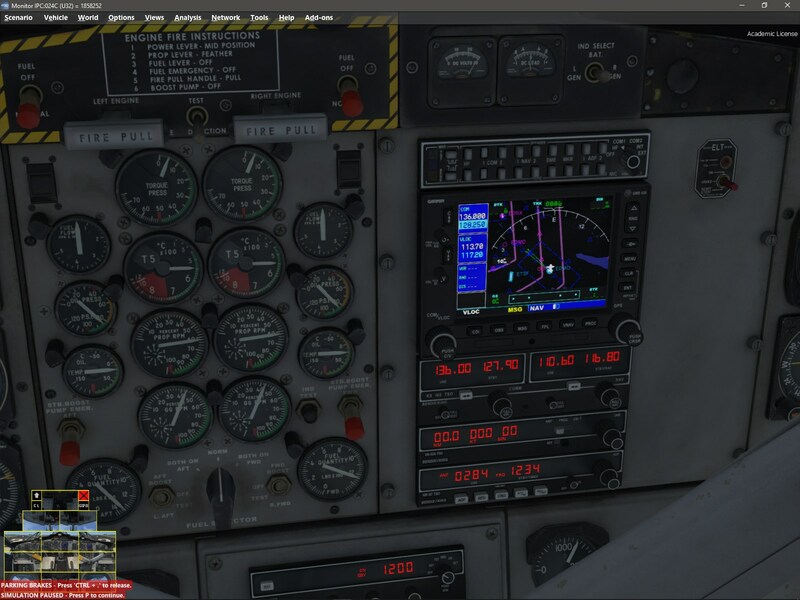 After installation of EZDOK 2, I opened the Twin Otter Extended on May 27, and BOTH FSX and P3D Flight Sims had radio numbers. HOWEVER, the next time I opened FSX the numbers were missing. Very frustrating! Thank you very much for your attention here. 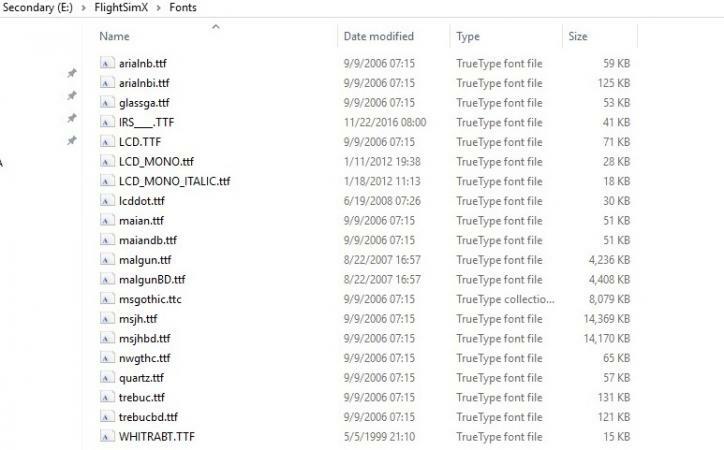 What you can try to do is, to copy from one of those two fonts folder the file "quartz.ttf" over into the "C:\Windows\Fonts" folder. If that doesn't help right click that file you have just copied into the Windows folder and select "Install". I rebooted my computer and opened MS Office7 and typed a note with the quartz font. I started FSX again, loaded a generic Twin Otter Extended AND VOILA!! the numbers are there!! So if I understand what you are saying, the Windows 10 quartz font was corrupt? Is that correct? Was that due to a recent update? Thank you for your FIRST CLASS support! 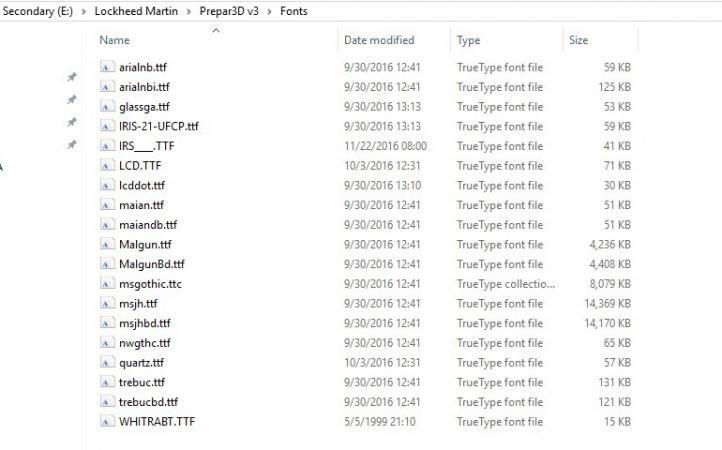 I doubt that the font was previously in the Windows fonts folder and got corrupted there. It's more likely that your both sims were, for what reason ever, not able anymore to access it in their own fonts folder. Maybe the font registration within Windows got corrupted. I saw this same problem a few months back not with the Twotter but with the Airbus. Feel free to share this solution to anyone who might need it as well.